The kids' Nike ® Squad 17 II Junior Tracksuit is an N98-inspired design made from Nike Dry fabric to help keep you comfortable on the pitch. It features a full-zip jacket and a coordinating pant with zippers at the hem for easy on and off. 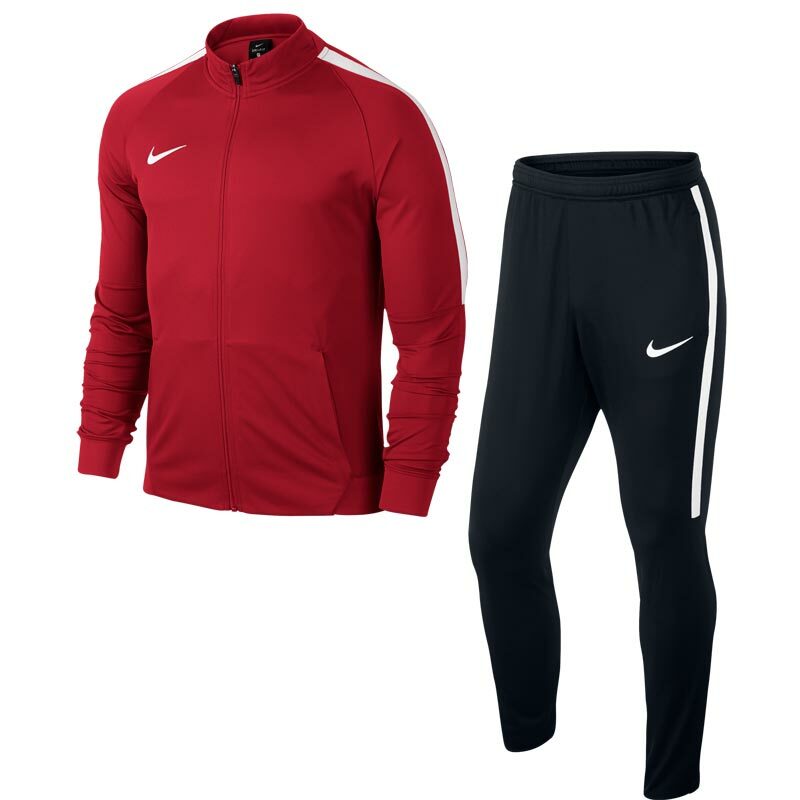 Anticipated availability for the Nike ® Squad 17 Junior Tracksuit: April 2017 to March 2019. Zippered pockets provide secure, small-item storage. Elastic waistband on the pant has a drawcord for an adjustable fit. Zippers at leg hems allow easy on and off.